Johnson's Cafe began as a parent and child venture in 1963 a few doors down from its present location. Louis and Evelyn Johnson along with their son Dave and his wife Maxine took over an established tavern in the small town of Montoursville, PA and proceeded to put their touch to it and make it their own. In 1986 the business was sold to Dave's sister Ruth Ann and her husband Gordon Snyder. Long noted for quality home cooked food and good service the restaurant has endured these many years and today is run by Louis and Evelyn's grandson Gordie Snyder and his wife Sue. 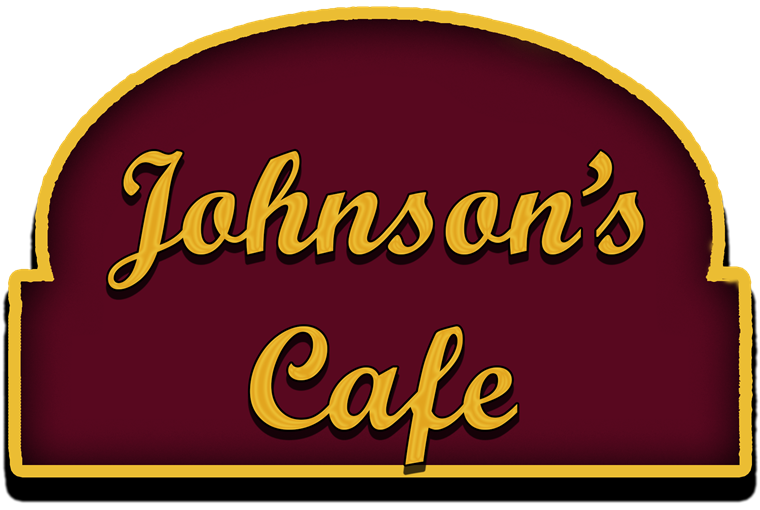 Johnson's Cafe is located at 334 Broad Street in Montoursville, PA in an old farm house that has seen many uses over the past nearly 150 years. Once a farmhouse in a rural area, the building has also been a stagecoach stop for the run between Williamsport and Muncy, but has been a restaurant for the past 60 or so years. In 1991 an enlarged kitchen and banquet room was added and in 1999 a wonderful outside patio was added that has become the place to be in Lycoming county on balmy nights! Johnson's Cafe has been a popular Montoursville fixture for over 53 years and we're still going strong! Stop by on your way through town and see what everyone is talking about.Johnson's Cafe...It's where friends gather. Feel free to contact us here or give us a call if you have any questions or concerns (570) 368-8351.